Samsung's smartphone division struggled to breakeven between July and September as sales plunged due to the recall of its high-end Note 7. The smartphone giant said quarterly sales in its IT and Mobile Communications division were down 15 percent on the same period last year to 22.5 trillion Korean won (US$19.8 billion) while operating profit crashed 95 percent to 100 billion won. 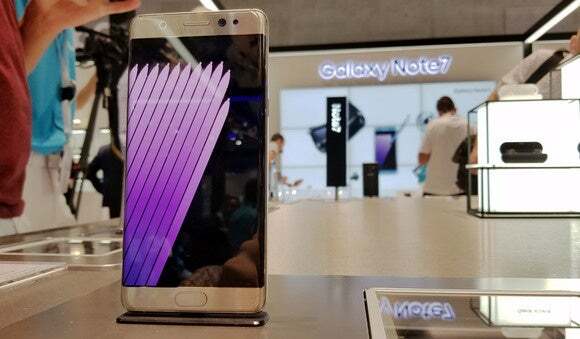 Problems with the Note 7 starting hitting sales shortly after it went on sale in mid-August. By early September, reports that several units had caught on fire prompted Samsung to begin a costly recall and replacement program. When it became clear that the replacements had the same problem, Samsung pulled the phone for good. Perhaps remarkably, Samsung said it saw no significant effect during the quarter on sales of its two other high-end handsets, the Galaxy S7 and S7 Edge, but it conceded that "regaining consumer confidence" will be a key objective in the months ahead. And for the current quarter, which includes the key year-end sales period, Samsung said it expects profit in the smartphone divison to bounce back to normal levels due to solid sales of the two flagship phones and increasing sales of mid-level Galaxy A- and J-series handsets. "As for 2017, the company anticipates a turnaround with the launch of new flagship smartphones," it said in a statement. "Next year will also see expansion of Samsung Pay rollouts and cloud-related services as well as the introduction of artificial intelligence related offerings." Costs associated with the Note 7 recall will continue to dog the company for at least the current quarter and the first three months of 2017. Overall, the company's revenue fell 7 percent on the year-ago quarter to 48 trillion won and net profit was down 17 percent to 4.5 trillion won. Sales of consumer electronics products fell 5 percent during the quarter but profits more than doubled due to strong sales of 4K televisions and high-end home appliances.